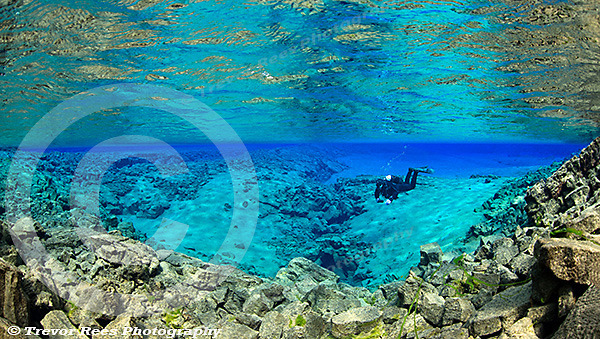 A diver in the freshwater Blue Laggon at Silfra in Iceland. A location world renowed for its gin clear water. Thanks to Gisli Arnar Gudmundsson who is the diver pictured here.